20120120 + Up WAY TO EARLY to drive into Boston and through 4 inches of snow :-O got on my flight to DC and got some sleep. 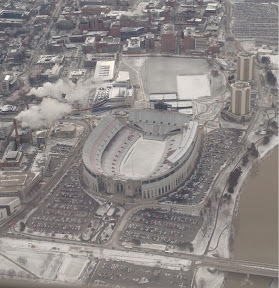 DC looked really neat covered in snow coming in for a landing, but not near as awesome as the 'Shoe'! Got home settled in and worked the rest of the day. Everyone home from school and we headed out to get a new toilet seat, the fancy slow close kind, and dinner. After dinner the fam dropped me off at home while the went on to the Cole's to visit, GmaB was there; I was too tired Nd been away from home too long already this week. I got the toilet seat on and relaxed. Everyone home, we played some games and then all boys to bed.